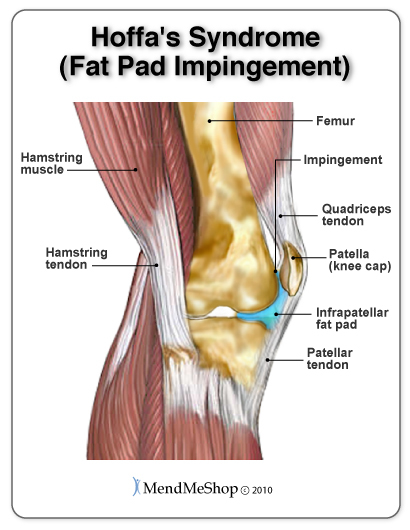 Your Hoffa's pad (infrapatellar fat pad) is a fatty pad that sits below your patella (knee cap) directly behind your patellar tendon. 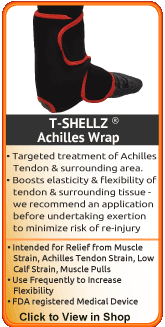 It cushions the patella, preventing it from hitting against the condyle of your femur (or end of the thigh bone) in the case of a direct blow to the front of the knee. The fat pad in the knee has a lot of nerve cells, so any injury to it is extremely painful. Because straightening the leg will cause the fat pad to become trapped, it is being re-injured constantly and can lead to a lengthy recovery time if not treated quickly and correctly. 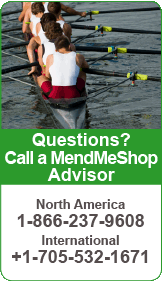 People participating in activities or sports where a blow to the knee is possible such as football, rugby, soccer, and hockey. If you have suffered an anterior cruciate ligament (ACL) injury the stability of your knee decreases leaving the infrapatellar fat pad more prone to being pinched. People who have Iliotibial (IT) Band Syndrome. Your doctor or health care professional will examine your knee to determine if you have Hoffa's Syndrome (fat pad impingement). He/she will ask you to lie down with a bent knee. You then slowly straighten your leg while the doctor presses his or her fingers below the knee cap (patella), on either side of the patellar tendon. Any pain or hesitation when straightening the leg is considered a positive test for Hoffa's Syndrome. 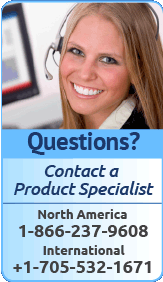 Treating Hoffa's Syndrome - What You Can Do! 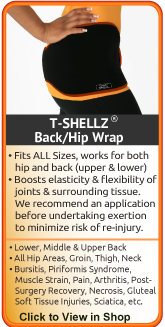 Allowing your knee to rest is always recommended when you are suffering from fat pad impingement. Avoid activities that may have caused the injury or irritation and begin using a Cold Compress or Ice Pack as soon as possible if there is swelling or inflammation. 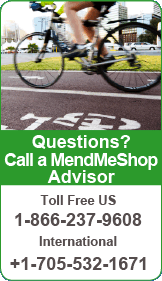 Fortunately, there are tools that can help treat your pinched fat pad and speed up the healing process so you can get back to a life without pain and risk of further injury. 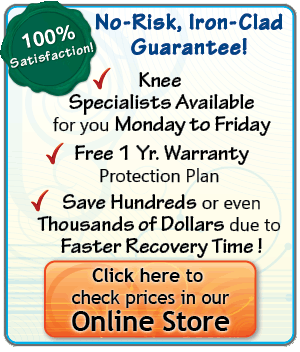 Deep Tissue Regeneration Therapy (DTR Therapy) will promote blood flow to heal your knee faster and more completely than any other home treatment methods that we know of. 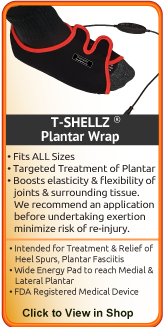 DTR Therapy is best achieved through use of the T•Shellz Wrap®. Using a Cold Compress or Ice Pack immediately following an injury reduces pain, swelling, and tissue damage that occurs when you have Hoffa's Syndrome (fat pad impingement). 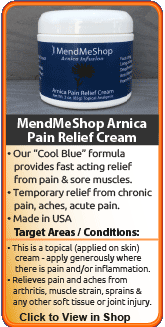 Cold Therapy works by interrupting and slowing nerve and cell function in damaged soft tissue. 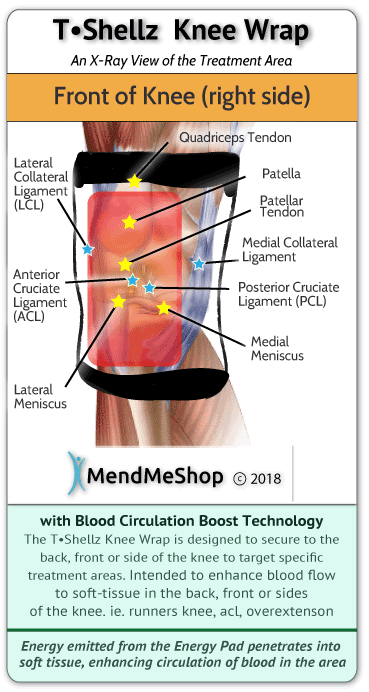 This is important because once blood vessels are damaged, they can no longer carry oxygenated blood to the infrapatellar fat pad and patella tendon and tissue cells begin to break-down. After the inflammation and swelling behind your knee cap and around your patellar tendon is gone, you can begin to treat your entire knee with Deep Tissue Regeneration Therapy, or DTR Therapy. DTR Therapy increases the amount of blood that flows naturally to your knee to nourish your fat pad, meniscal cartilage, tendons, ligaments and muscles to speed healing. By treating yourself with Deep Tissue Regeneration Therapy you can increase your body's blood supply to the knee and your body's natural healing power. In addition, the fresh blood flow whisks away dead cells and toxins that have built up from the tissue damage of Hoffa's Syndrome leaving the area clean and able to heal faster. 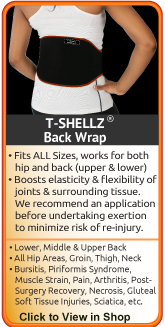 Our Knee T•Shellz Wrap® provides the most effective, non-invasive, non-addictive pain relief and healing with no side effects. 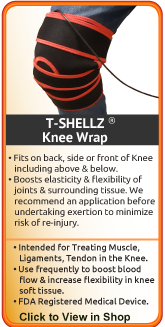 With these easy therapies you will notice incredible results in your knee. The more diligent you are with your treatment and rehabilitation, the faster you will see successful results!